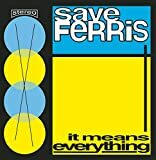 SAVE FERRIS GEBA! GEBA! MARCH (EYE CATCH) LYRICS"
know why you got to say I'm not am goodbye. 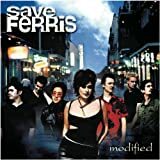 All Save Ferris - Geba! Geba! March (Eye Catch) lyrics are property and © copyright of their respective owners. All Geba! Geba! March (Eye Catch) lyrics provided for educational purposes only.